Centralized QA testing and documentation. Is there a better alternative to QArc? 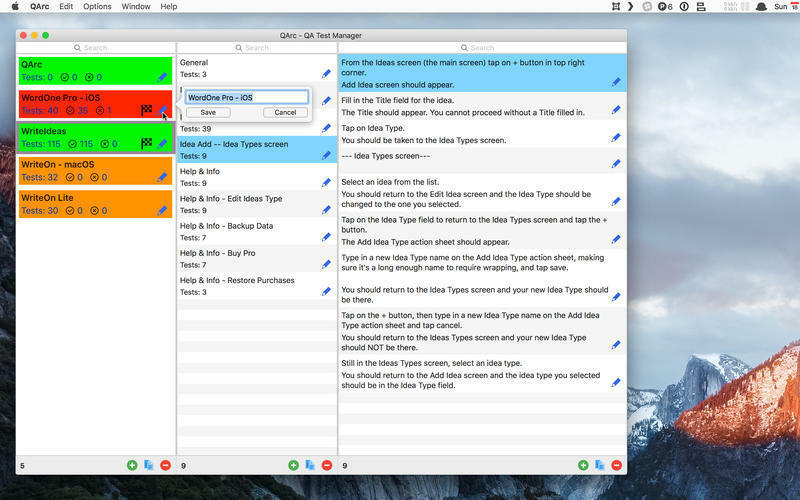 Is QArc really the best app in Developer Tools category? Will QArc work good on macOS 10.13.4? 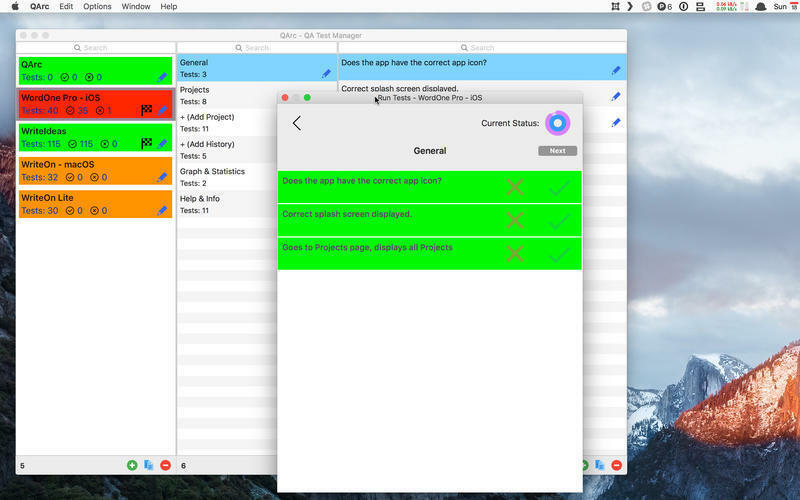 QArc allows you to keep all the QA tests you run on your apps in one single place. And when you create a new app, you can easily copy/duplicate tests from an existing app to fill the test cases for the new app. It also lets you run through all the tests for a given app in test mode and mark each test as passing or failing. (BTW, the tests can have detailed descriptions so that you can document the exact steps needed to run that particular test.) Once a full run-through is complete, you can easily see how many tests were passed for that app and how many failed. It's as simple as that. QArc needs a review. Be the first to review this app and get the discussion started! QArc needs a rating. Be the first to rate this app and get the discussion started! While QArc is a stand-alone app, it does not mean that you can't use QArc in a team environment. QArc has a handy export feature which lets you export any app (and its attendant sections and tests) out to a file. So, you can create the tests at your leisure and share them with your whole team. All they have to do is export the tests into their copy of QAarc and they have the full set of tests you created to run their own tests.